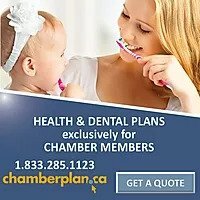 The Prairie Sky Chamber of Commerce is now accepting nominations for our Board of Directors. 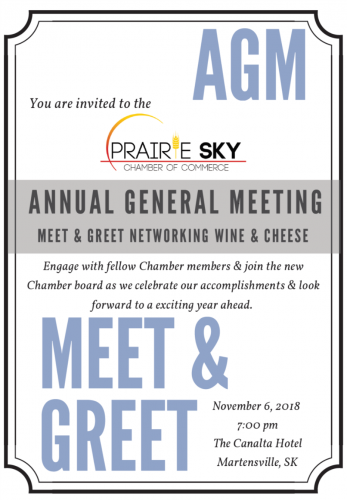 Serving on the board is a great way to get involved, expand your connections by working with other member businesses and learn more about what the Prairie Sky Chamber of Commerce does behind the scenes. Any member in good standing order is eligible to serve on the board. If a nominee is not a current member, they must agree to become a member before taking their seat on the board. Each elected Director will begin a two year term effective at our AGM scheduled for Tuesday, November 6, 2018. Nominations will be accepted until 5pm on Tuesday, October 9th, 2018. Please indicate your interest by submitting the nomination form below or for more information, please contact the Prairie Sky Chamber office at (306) 292-7066 or our Chamber Chair, Tracey Fesiuk at (306) 260-0886.